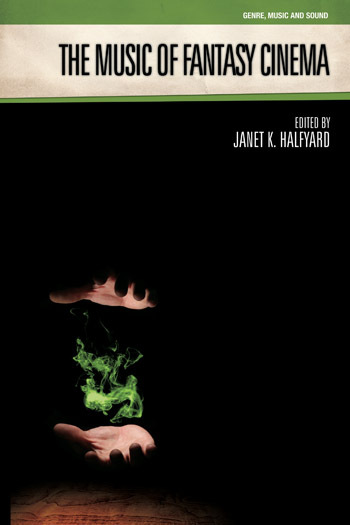 This volume focuses on the singing voice in contemporary cinema from 1945 to the present day, and rather than being restricted to one particular genre, considers how the singing voice has helped define and/or confuse genre classification. Typically heard in song, the singing voice is arguably the most expressive of all musical instruments. This volume celebrates the ways in which singing features in film. This includes the singing voice as protagonist, as narrator, as communicator, as entertainer, and as comedic interlude. Whether the singing voice in film is personally expressive, reflexive and distant, or synchronized for entertainment, there is typically interplay between the voice and visual elements. Extending beyond the body of literature on ‘the musical’, the volume is not about musicals per se. Rather, The Singing Voice in Contemporary Cinema discusses the singing voice as a distinct genre that focuses on the conceptualization and synchronization of the singing voice in the post-War era. It explores the relationship between screen, singing, singer and song; it celebrates the intersection of the singing voice and popular culture. In doing so, the volume will cross multiple disciplines including vocal studies, film studies, film sound studies, and music production (vocal processing). 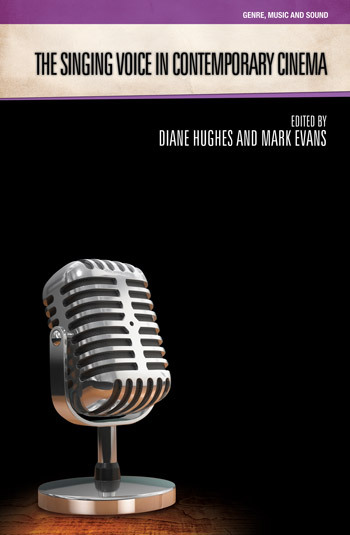 This volume focuses on the singing voice in contemporary cinema from 1945 to the present day, and rather than being restricted to one particular genre, considers how the singing voice has helped define and/or confuse genre classification. Typically heard in song, the singing voice is arguably the most expressive of all musical instruments. This volume celebrates the ways in which singing features in film. This includes the singing voice as protagonist, as narrator, as communicator, as entertainer, and as comedic interlude. Whether the singing voice in film is personally expressive, reflexive and distant, or synchronized for entertainment, there is typically interplay between the voice and visual elements. Extending beyond the body of literature on ‘the musical’, the volume is not about musicals per se. Rather, The Singing Voice in Contemporary Cinema discusses the singing voice as a distinct genre that focuses on the conceptualization and synchronization of the singing voice in the post-War era. It explores the relationship between screen, singing, singer and song; it celebrates the intersection of the singing voice and popular culture. In doing so, the volume will cross multiple disciplines including vocal studies, film studies, film sound studies, and music production (vocal processing). Dr Nessa Johnston is a Lecturer in Media, Film and Television at Edge Hill University, UK. Her research and teaching interests include sound in screen media, critical production studies, and production/sound aesthetics in low-budget and art cinema, encompassing independent, experimental and cult cinema. She has published on film sound in several edited collections and journals including Music, Sound and the Moving Image; The Soundtrack; The Velvet Light Trap; Alphaville; Popular Music; and The Palgrave Handbook of Sound Design and Music in Screen Media. She is Associate Editor of the journal The New Soundtrack (Edinburgh University Press). Katherine Meizel is an Associate Professor of Ethnomusicology at Bowling Green State University in Ohio. She earned her Ph.D. in ethnomusicology at UCSB, and also holds a doctorate in vocal performance. Her research includes topics in voice and identity, popular music and media, religion, American identities, and disability studies. Her book Idolized: Music, Media, and Identity in American Idol (IU Press) was published in 2011; she also wrote about Idol for the magazine Slate from 2007 to 2011. She is currently co-editing the forthcoming Oxford Handbook of Voice Studies, and completing a monograph for Oxford University Press titled Multivocality: An Ethnography of Singing on the Borders of Identity. Anne Power is Associate Professor at Western Sydney University. Her research interests include music education, research methods, and leadership qualities that emerge through service learning. Her work with service learning and disadvantaged students, especially in First Nations communities, converges with themes of creativity. Anne has written on contemporary Australian opera, on approaches to singing in snapshots of Australian contexts, on developing a pedagogy for the voice across the K-10 curriculum, and she is an advocate for care of the voice in music education. Anne is editor of two journals and is on several editorial boards. Gianpaolo Chiriacò is Professor of ethnomusicology at the Freie Universität Bozen. His work as a scholar aims to engage students and general public through essays, workshops, public lectures, and sound installations. He has been research fellow at the Center for Black Music Research (Columbia College, Chicago) for three years, where he curated and organized two symposia titled ‘Black Vocality: Cultural Memory, Identities, and Practices of African-American Singing Styles.’ His area of interests is positioned at the intersection of history and anthropology of the black singing voice within the Atlantic diaspora. He uses different case studies, such as the vocality in the slave narratives, singing as agency among African-American vocalists in the Midwest, and vocal performances of blackness in Italy. Chiriacò has been awarded a Marie Curie Fellowship for the research project ROTVOSCIAME (The Role of Traditional Vocal Styles in Reshaping Cultural Identities Related to African Diasporas in America and Europe). Results of his research, publications, and multimedia materials can be found on the website of the project, www.afrovocality.com. Chiriacò has received a Ph.D. from the University of Salento (Italy, 2010). Dr Sarah Keith is Lecturer in Music and Media at Macquarie University. Her research areas include Korean and Japanese popular music and culture, the Australian music industries, and music and cultural policy. 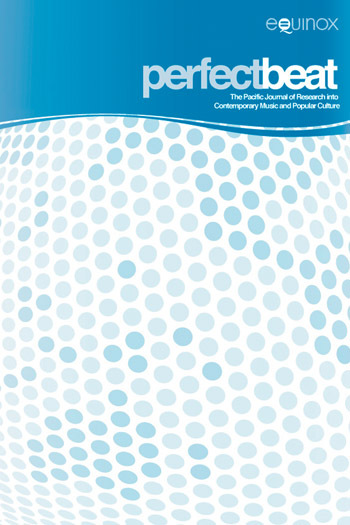 Sarah’s current research focuses on Korean popular culture within Australia. Dr Alex Mesker is an Associate Lecturer in the Department of Media, Music, Communication, and Cultural Studies at Macquarie University. He completed a Masters in 2007 on compositional strategies for electronic music, and a PhD in 2017 on the use of sound and music in 1960s television cartoons. His research interests span computational arts, animation, and screen soundtrack studies. Nina Menezes is currently pursuing her Ph.D. in Music (Ethnomusicology) at the University of Florida. As a soprano, she has performed recitals, and has toured with groups and ensembles internationally. Nina held an extensive recording career in her hometown Chennai; her voice has featured on several award-winning film soundtracks for Bollywood and Kollywood cinema. As a music educator, Nina has taught voice, piano, music theory in her private studio; some of her students have been female playback singers in the film industry. Professor James Deaville is a Musicologist specializing in music, composers and musical practices and institutions of the 19th and 20th centuries, having published and spoken about such diverse topics as Franz Liszt, music criticism, television news music, African-American entertainers in turn-of-the-century Vienna and “fascist” Nordic composers during the Third Reich. He has published in the Journal of the American Musicological Society, Journal of the Society for American Music, 19th Century Music Review, Echo, Current Musicology, Hamburger Jahrbuch für Musikwissenschaft and Canadian University Music Review (among others). Agnes Malkinson is a PhD student in Communication Studies at Carleton University. Her current area of study is focused on indirect modes of communication in audiovisual advertising. She has previously worked and published in the areas of sound/music in film promotion and television advertising. Professor Philip Hayward is editor of the Island Studies journal Shima and holds adjunct professor positions at the University of Technology Sydney and at Southern Cross University (Australia). He has previously published books on topics such as cultural heritage in the Pacific, mermaids and also the sound of horror cinema for this series. Dr. Mark Thorley’s research centers on the impact of technology on the Creative Industries, drawing upon his background as a classically-trained musician, technologist and entrepreneur. He presents at international conferences, collaborates globally and his work appears in a range of publications from Oxford University Press through to the Journal of Popular Music and Society. He has developed and managed several academic Programmes, including latterly, the Music and Creative Technologies Programme at Coventry University. He was a Director of the Music Producers’ Guild, and is a Senior Fellow of the Higher Education Academy. Veronica Monro is a contemporary singing and performance coach based in Sydney, Australia. She is the Director of the Sydney Voice Studio, a performance space that supports singers through all facets of their creative and performance work. She is also a sessional vocal studies tutor and guest lecturer at Macquarie University. Currently a PhD candidate, Veronica’s research interests include vocal creativity, songwriting and singer wellbeing.